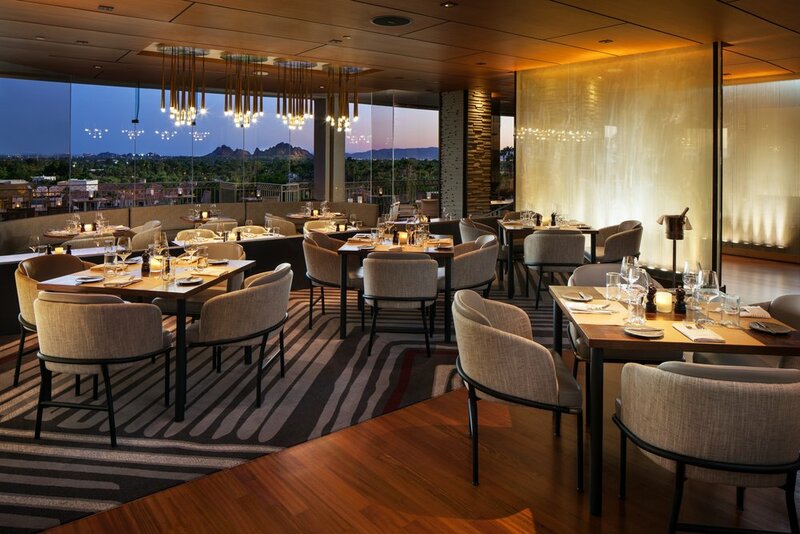 Tucked into the cactus-dotted foothills of Camelback Mountain, J&G Steakhouse offers flexible, state-of-the-art private and semi private dining areas featuring stunning Valley views. 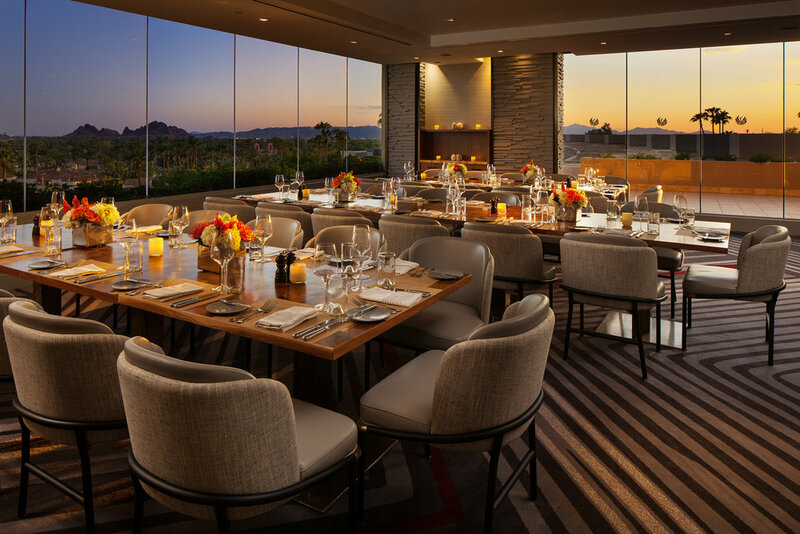 Boasting sweeping Valley views that showcase both the beautiful Sonoran Desert surroundings and Arizona’s famously dramatic sunsets, the Sunset Room accommodates 40 seated guests and up to 65 for a cocktail party. 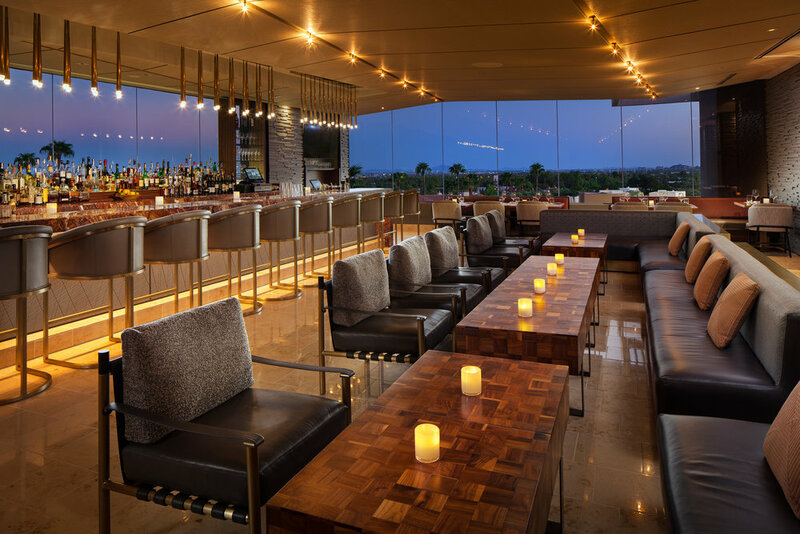 A striking mix of bar seating and cozy, low-slung banquettes. 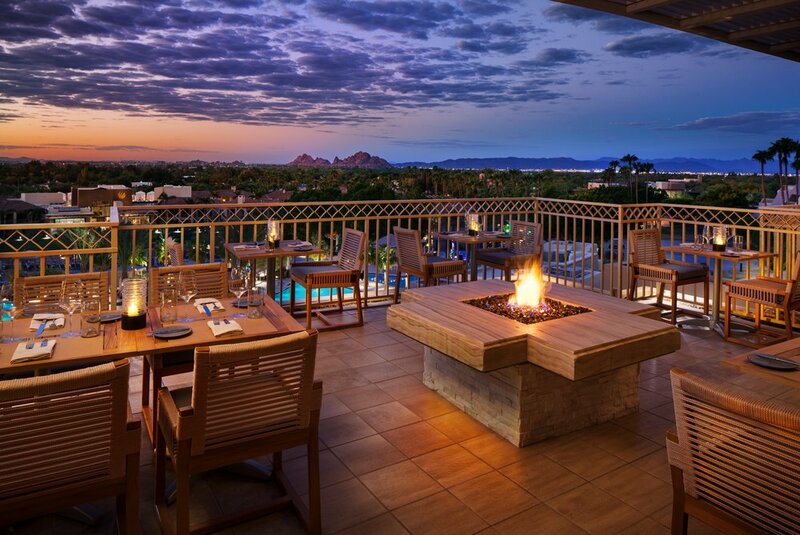 Soak in Scottsdale’s nearly 330 days of annual sunshine on our stylishly refreshed outdoor dining deck. 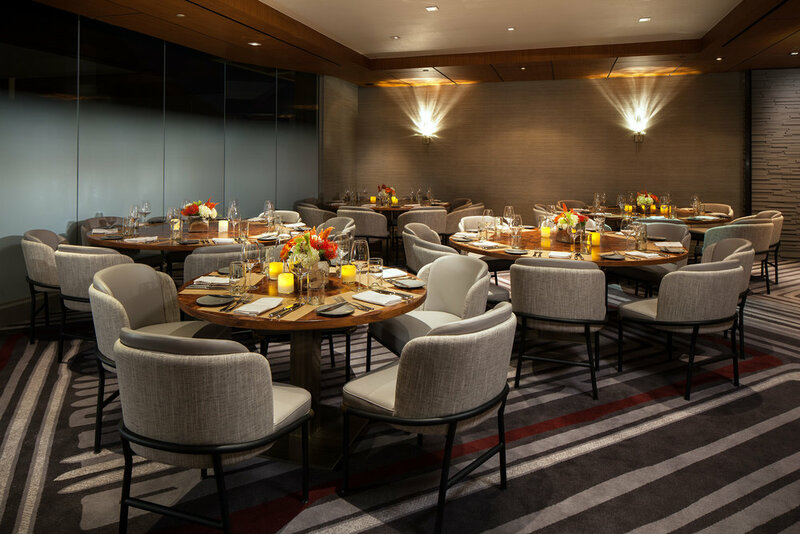 For larger events, J&G Steakhouse has the capacity to accommodate approximately 325 guests for cocktails and hors d'oeuvres or approximately 250 for a seated dinner. 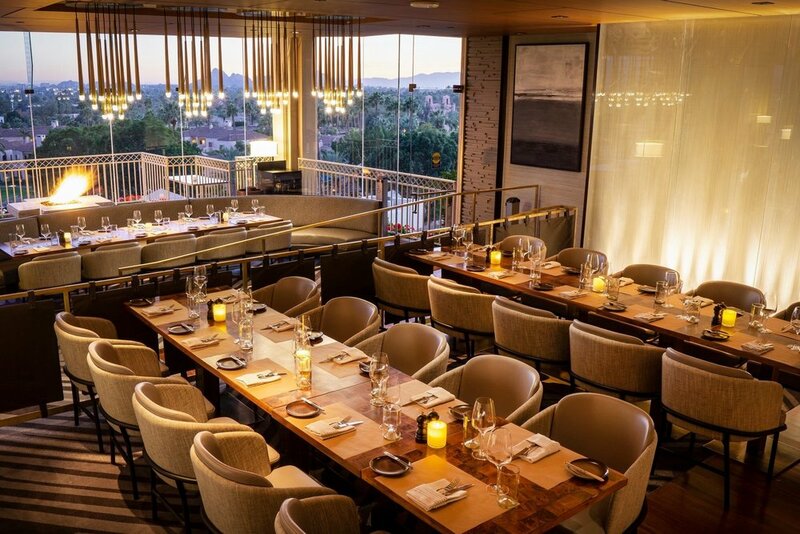  Complimentary valet or self-parking available with validation.